Dentures are almost always associated with senior citizens. However, dentures are more common than you might think amongst younger populations. According a Biting Into Dental Care Survey, over half of respondents (53 percent) said they received dentures for the first time before reaching age 44. Dentures aren’t ideal for any age, especially for younger folks—but dentures are usually better than the alternative: ignoring your dental problems and having a smile you’re not happy with. 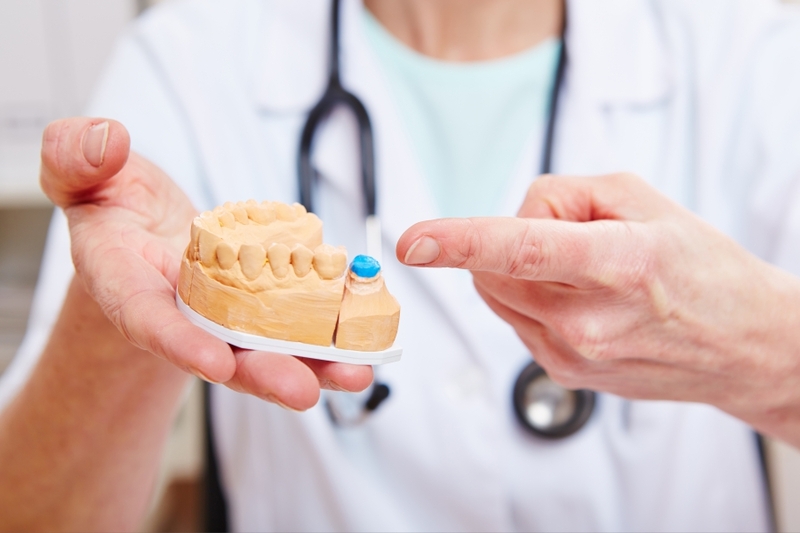 In this blog, the Gaithersburg dentists at Clopper’s Mill Dental Care will show you a few signs that you might need dentures. If you are experiencing any or all of these oral health problems, it’s definitely time to visit your local dentist and figure out if dentures might be a good option for you and your health. Your teeth are loose or shifting. If you’re noticing some of your adult teeth shifting frequently or coming loose, it’s time to visit your dentist. This is a sure-fire sign of advanced gum disease that needs immediate treatment. This goes beyond tooth health, as gum disease at any stage can affect your overall health, and even the condition of your heart. In cases like this, you might need extensive periodontal treatment, including tooth extraction. Once your ailments are cleared up, dentures could be an excellent option to keep your jaw in good shape and bring your smile back to life. You have plenty of toothaches. A little tooth pain every so often usually isn’t cause for concern—all it takes is an ice cube or a hot cup of coffee to temporarily affect a sensitive tooth. However, if you’re experiencing frequent, severe tooth pain that’s making it difficult to eat, chew, and talk, something more serious is at play. Severe toothaches are often a sign of tooth decay that has progressed to an irreversible point, exposing the nerve endings in the pulp of your teeth and causing searing pain and sensitivity. If this is the case with only one tooth, a filling might do the trick—but if you’re experiencing pain and tooth decay with a few teeth, tooth extraction and a partial denture (or bridge) might be needed to preserve your jaw and overall oral health. You have trouble eating certain foods. There are plenty of reasons why you’d have trouble eating some kinds of foods—tooth sensitivity, a cracked tooth, or a cavity can make it difficult to deal with hot, cold, crunchy, or sticky foods. Smaller issues with eating can usually be solved with simple dental procedures. However, if you’ve had trouble eating certain foods for a long while, dentures might be a great way to help you eat the foods you love and avoid discomfort and pain. Your gums are perpetually red and swollen. Irritated gums are the ultimate sign of gum disease, whether it’s early stage gingivitis or full-on periodontal disease. Nearly everyone experiences swollen, red, or bleeding gums at one point or another—and most of these people can treat this condition with improved at-home oral health care and some help from their dentist. However, those who experience gum disease symptoms on a daily basis are at an increased risk for periodontal disease, which can lead to tooth pain, loosening, loss of teeth, and jaw deterioration, among other conditions. Once tooth loss begins, infected materials might need to be removed completely, which could leave dentures as a useful and affordable tooth replacement option. You’re missing a tooth or two (or three). If you’re losing adult teeth due to periodontal disease, your smile and mouth are at risk. Once you lose a few teeth, your teeth can start to shift out of place due to the empty space on your gumline, and accelerate the rate of jaw atrophy. Dental bridges or partial dentures can prevent this problem by keeping your teeth in their original alignment, helping you retain your smile and avoid jaw deterioration. That’s it for part 1 of our series on signs you might need dentures. Stay tuned for part 2 of the series, and check out our other blog posts in meantime!